This is a sponsored post written by me on behalf of Georgia Coffee. Before going on vacation, I had a perfect “Georgia Coffee” moment! As you can see in the photo above, it involved coffee and colorful autumn leaves. Fall is my favorite season and coffee is my beverage of choice so the two of them, in the midst of a busy day, make a perfect moment. The weekend before we left for North Carolina was a busy one! It had been a long time since our whole family went on vacation, especially on an airplane. Our luggage was worn out so we had to get new suitcases, everyone needed a few clothing items, we all wanted books to read and so on. We spend part of the weekend running errands, picking up the things we needed. Before running errands, we went out to eat and ordered some Georgia Coffee to go so that we could take it with us. 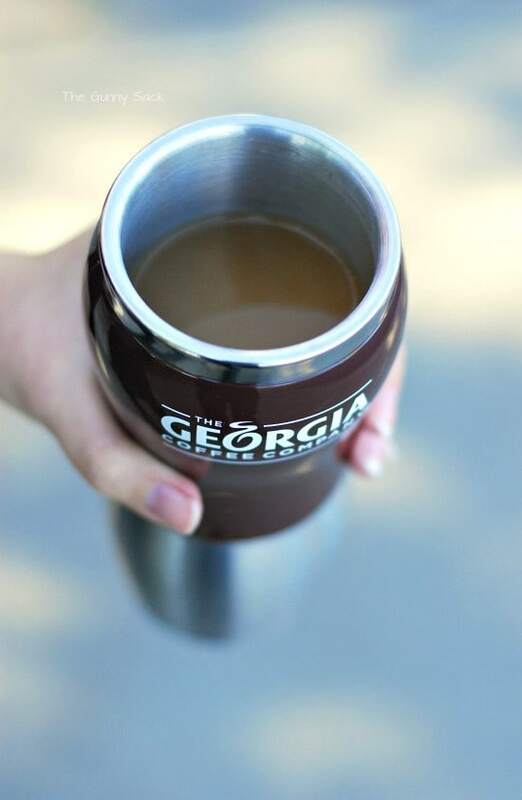 Have you ever had Georgia Coffee? This was my first time trying it and it was delicious! 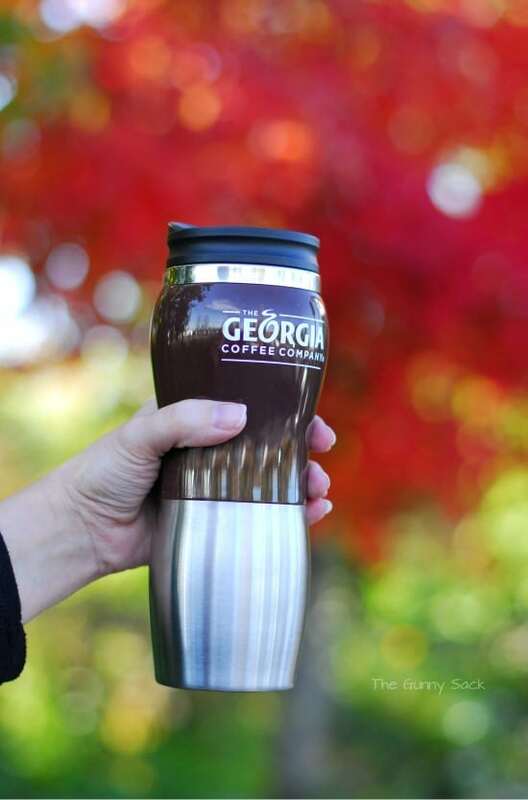 Made with 100% Arabica beans, Georgia Coffee is available in light roast, dark roast and decaf. It is freshly brewed at select locations. 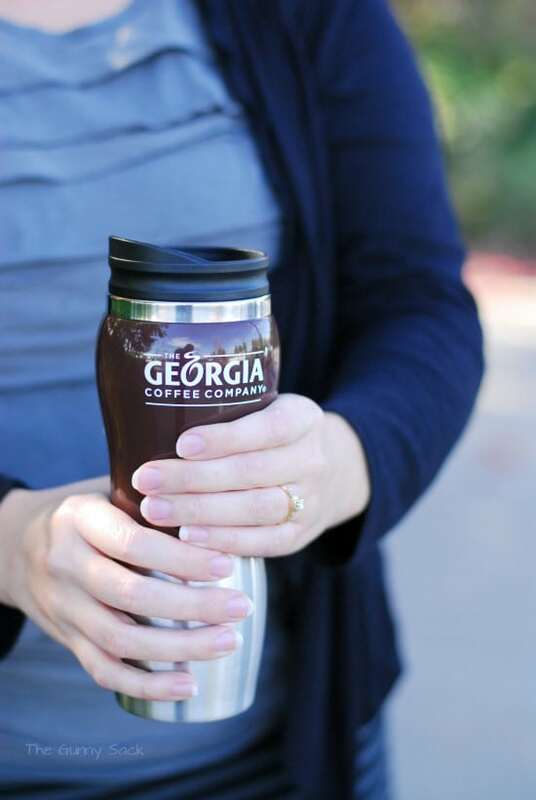 You can search for a location near you by visiting the Georgia Coffee Company website. While running errands with our coffee, one of the places we visited had a park area in front of the building. There was a pond with paths to walk on around trees that were full of colorful fall leaves. It was a beautiful fall day and we stopped to spend a few minutes enjoying the day while sipping on our Georgia Coffee. Brian had his black and I had mine with cream. It was our perfect “Georgia Coffee” moment! You don’t need long periods of time to enjoy life. Take a few moments to savor the things that really matter like a beautiful fall day, a smooth cup of coffee and time to spend with the most important people in your life! Get involved in the conversation with @GeorgiaCoffee on Twitter by tweeting what has inspired you to take on the day using hashtag #TodaysAwaits! I partnered with Georgia Coffee to write this post. Although this post is sponsored, all opinions are my own. For more information, visit http://www.georgiacoffee.com. To start off with,you & your husband look so cute together. I like your travel mug it has a very unique shape. I am a collector of coffee cups & travel mugs. Thanks Anna! 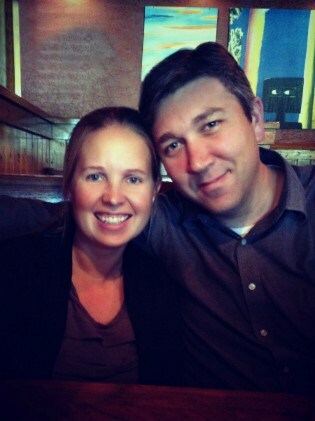 I am so thankful for my husband. I have quite the collection of travel mugs too and I really like this new one! Love the coffee mug, where can they be purchased? I love it too! The mug was sent to me by Georgia Coffee Company so I’m not sure. I am looking into it and will let you know what I find out. Thanks for stopping by!